Today I'm here to share with you how I put a new die to the test when I get one. I call this the "Snipability test"
As I've mentioned before when Stephanie Weightman designs her dies she always packs them with at least 3 ways in which they can be snipped into giving the customer more for their money. Now I'm a frugal Crafter (according to my husband I'm just a bit tight) and I always want more for my money so I always apply the Snipability test to my new dies. It's a beautiful die and straight away you can probably see several options of how to use it. The first stage in my Snipability test is to cut several pieces of copier paper with the die, dont use your good paper for this part as you will be experimenting and do not want to waste your pretty papers. 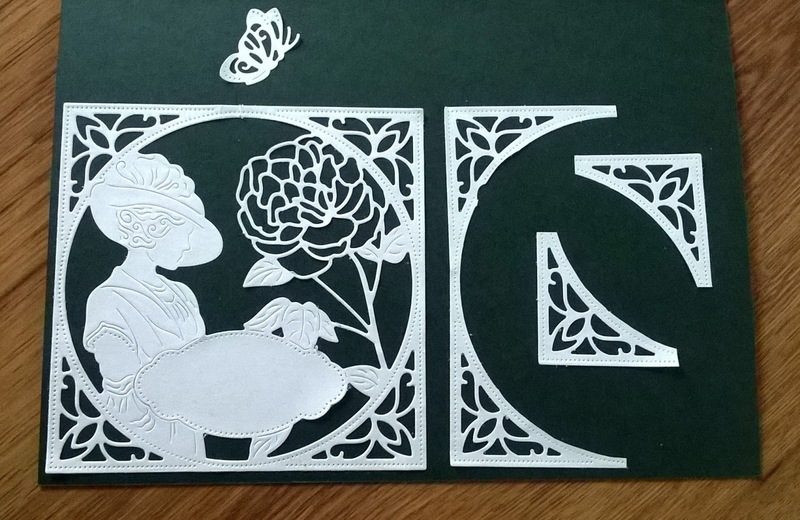 Here is the die cut in it's entirity (Left Image) you also get the Butterfly in the set. Now you can easily cut the frame away and create decorative corners and frames. Now if you cut away the lady you have a stunning frame with a Rose. 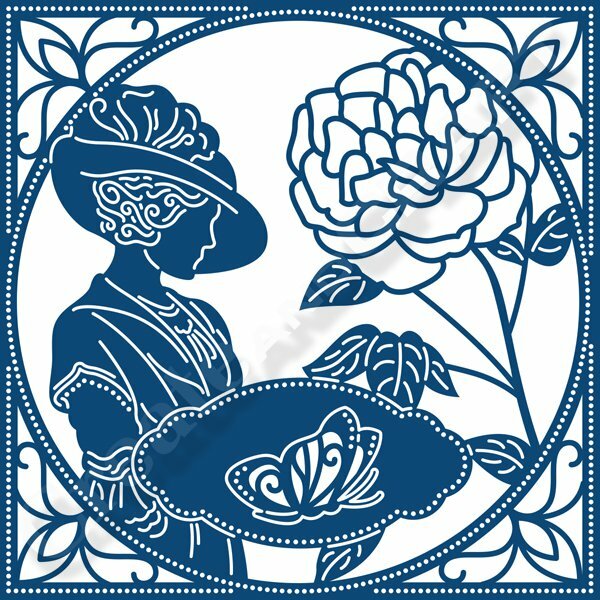 The lady and plaque can be kept together and used in several ways, or separated. If you cut it from Mirror card it could look like she's looking into a mirror. How about if you remove the Rose? 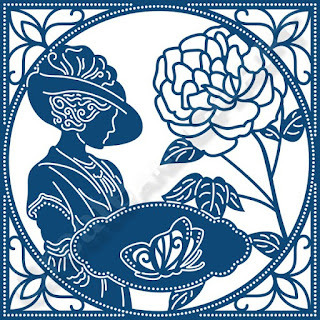 You get a frame with the lady and plaque and a separate rose to embellish your projects. 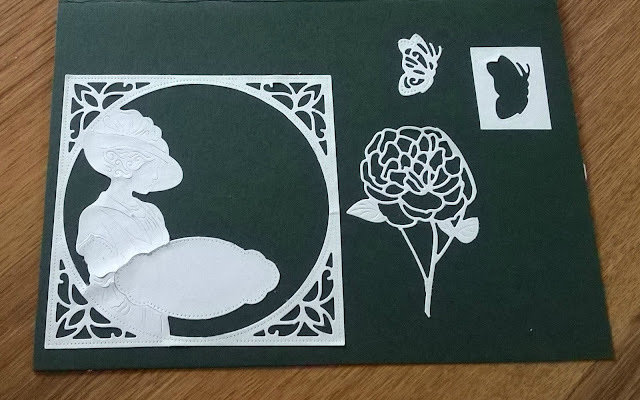 The butterfly (top right) shows how you can cut into your page and leave an outline or use the die cut as an embellishment. 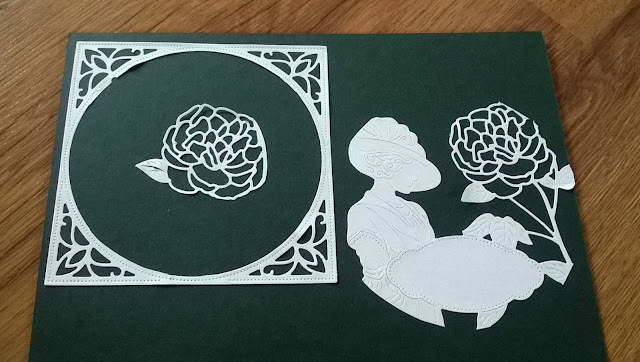 Next you can cut out all of the internal piece to leave a very elegant frame. The section cut out can be added to a circle aperture for a different look. The Rose head can be removed from the stem and used in several ways. As you can see theres so much you can get from just one set, it's amazing, I think this is just the tip of the iceberg. 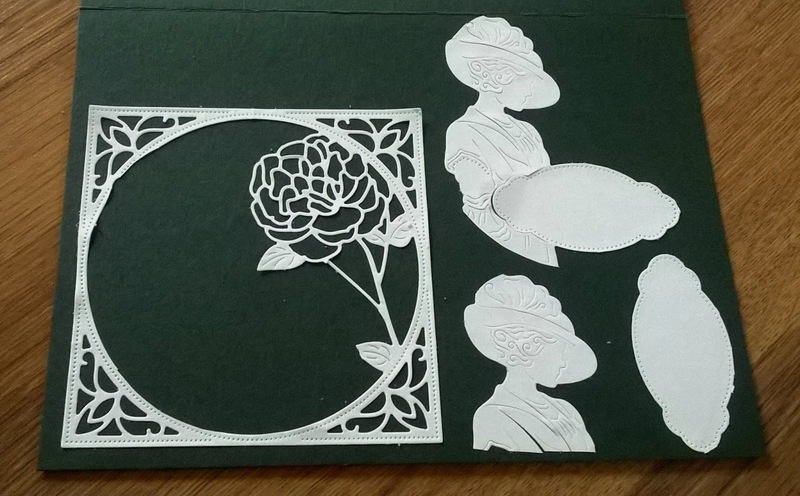 You can see some of the sample cards I made by looking at this blog post Tattered-lace-4th-anniversary-what-week. Thank you for stopping by, I'd love it if you left me a comment below especially if you can see any other ways to use the die.